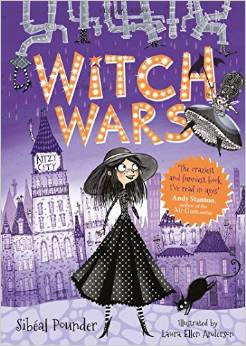 Witch Wars is funny and fabulous (and that’s just the outfits!). It has THE most perfect illustrations, and a map, too! And I do love a good map. With names like Brollywood, and Clutterbucks to visit, it’s the perfect place for a bit of Witchy Wandering! This story is delightfully refreshing and has some fantastic personalities. Whether you’re young, old, or prefer not to admit to either, it’s such a joy to read. I LOVED IT. Tiga Whicabim is nine years old and lives with a miserable old bat called Miss Hek, who in turn refers to her as ‘brat’ and serves cheese water for tea. The young girl spends most of her time in the garden shed and entertains herself by putting on plays, casting slugs in the starring roles. During one of her solitary performances, where she is both director and audience, she comes face to face with a little winged creature who appears to have popped right out of the plughole. This creature is Fran, The Fabulous Fairy (a star in her own right, or so she says). After a quick introduction, one minute Tiga was standing in the shed, and the next she was in Sinkville, the home to many witches of all shapes and sizes. Sinkville occupies the space below our world, and is accessed via pipes (which apparently explains how the witches got their pointy hats when they’re sucked back up them whilst travelling). Maps, glorious maps! 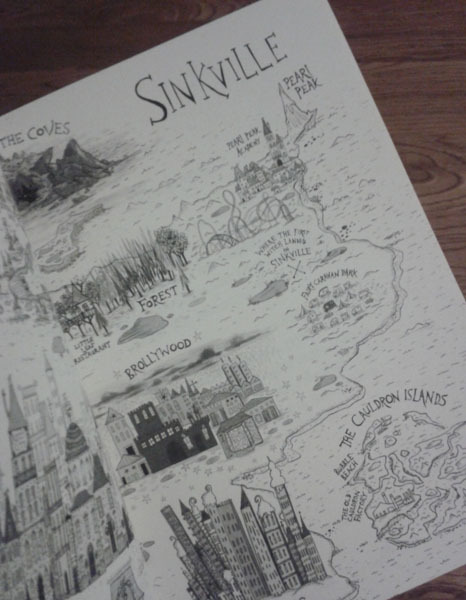 Sinkville is accessed via pipes and plugholes, which connects it to the world above. Tiga protests that she’s not a witch, she’s never met a witch, nor does she have any desire to be one. Yet, despite her pleas, Fran The Fabulous Fairy, explains that not only is her name, Tiga Whicabim, an anagram of ‘I AM A BIG WITCH’, she was nominated by someone who believes she can win the contest. That’s not bad going, considering the overall winner gets to rule the whole of Sinkville, make up new rules and generally create a nicer for everyone – if they so choose. Anyway, if she wins she needn’t go back to ‘orrible Miss Hek and her nasty cheese water meals. But how can she stand any chance of winning when she doesn’t know any spells? She’s still in her jeans and doesn’t even look like a witch! And who could have nominated her? Who will win? Now that would be telling. I’ll just say, let battle commence! 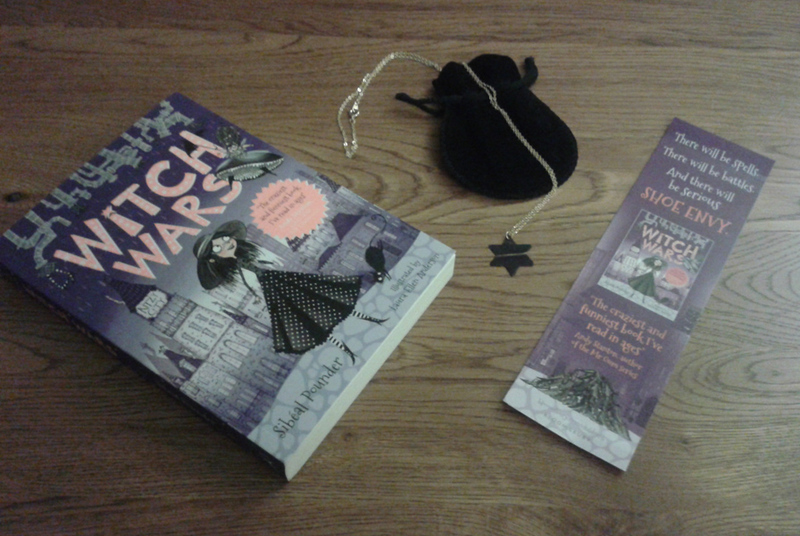 The delights of a giveaway: signed book, a wicked book mark and star necklace. Perfect combo for the girlies in my clan. My sincere thanks to the author for running the recent giveaway to ‘conjure up’ the silliest witch name you could think of. My effort was: Melancholy Spewitt, which to my surprise was a winning entry! The marvellous prize included: a signed paperback, a bookmark and a star necklace. 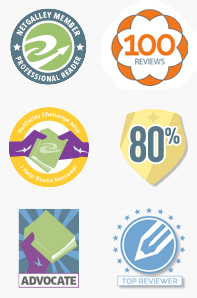 Obviously, I have too much time on my hands…but it was soooo much fun!